Elko, NV – November 13, 2018 – Lithium Corporation (OTCQB:LTUM) (“LTUM” or “the Company”), a North American company focused on energy metals for the growing energy storage sector and high tech industries, is pleased to announce that it has renewed its consulting agreement with RB Milestone Group LLC (“RBMG”), a US-based capital markets consulting firm. Over the one-and-a-half-year relationship, RBMG has and will continue to assist LTUM with communicating its corporate characteristics to applicable investment and media communities throughout the Unites States. RB Milestone Group (“RBMG”) is a US-based capital markets consulting firm with offices in Stamford, CT and New York, NY. RBMG specializes in assisting small and venture-stage companies with enhancing: corporate strategy, investor awareness, business development, market intelligence and research. RBMG partners with clients globally and across a wide range of industry segments including natural resources and energy metals. Staff specialists have diverse sector knowledge centered on capital markets. 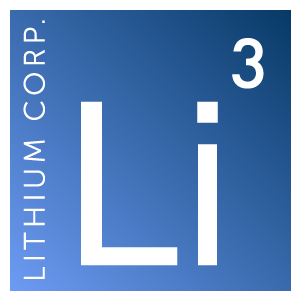 Lithium Corporation is an exploration company based in Nevada devoted to the exploration for energy storage related resources throughout North America, and looking to capitalize on opportunities within the ever-expanding next generation energy storage markets. The Company maintains a strategic alliance with Altura Mining, an ASX listed natural resource development company that is currently ramping up production at its 100% owned world-class Pilgangoora lithium pegmatite property in Western Australia.